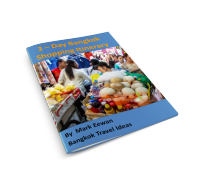 A collection of the best Bangkok beach photos taken around Koh Chang, Ao Nang and Hua Hin. 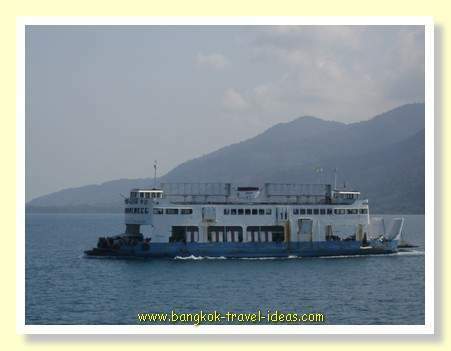 Travel down from Bangkok and take the ferry across to the island of Koh Chang. 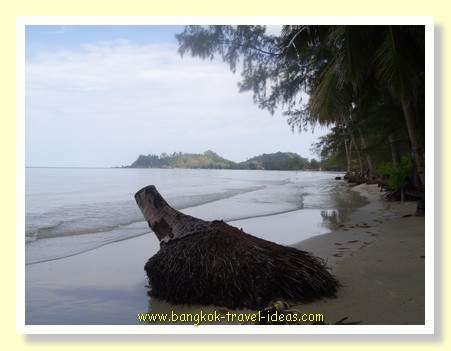 Klong Prao beach is one of the best beaches on Koh Chang and not overrun with tourists. 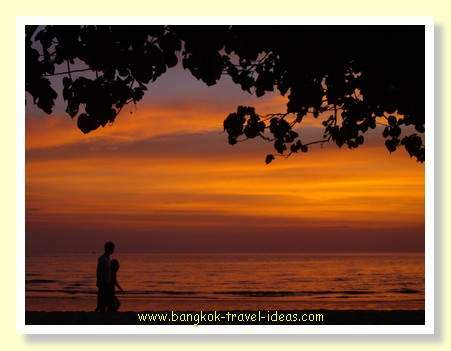 If you want a quiet beach close to Bangkok then Klong Prao may be ideal for you. 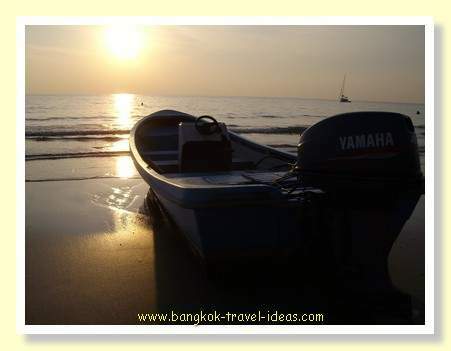 The Klong Prao area is a little way out of the town of Whitesand Beach, but you can easily take a Songthaew during the day and early evening. There are a range of good hotels right on the beach and you get to spend the time relaxing without hordes of other tourists in this part of Koh Chang. 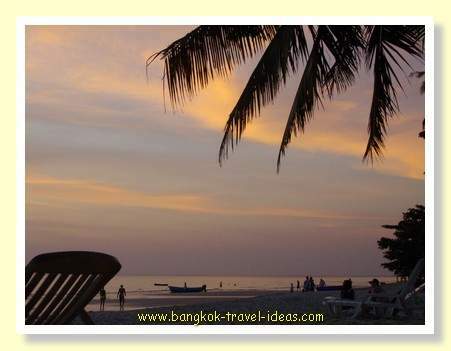 Palm trees come right up to the waters edge on Klong Prao beach and you can sit in the shade out the front of the hotel. At high tide there is very little beach left. On the foreshore there are small massage tables set up and the odd bar or so under the Casuarina trees. 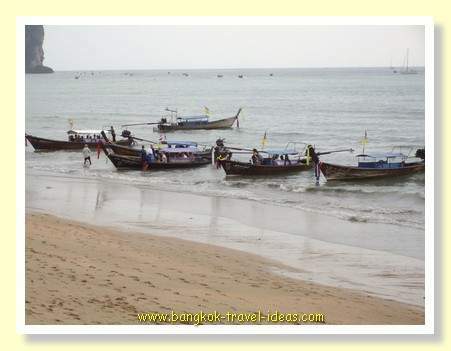 Klong Prao is the small inlet of water located on Klong Prao beach. It has small fisherman cottages along the banks. 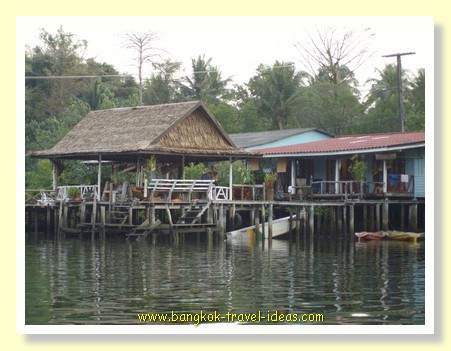 Many of these are now restaurants or small home-stay accommodation for tourists visiting the island of Koh Chang. 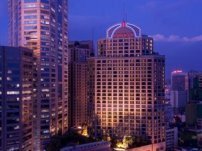 Two places of note are the large AANA Hotel and the famous Baan Rim Nahm home stay, featured in the photo below. The AANA hotel will take you in a small hand rowed boat down to the beach as you can't walk there. 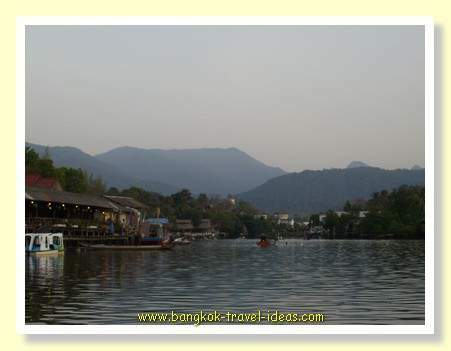 On the other hand because Baan Rim Nahm is located on the other side of the klong, it is just a one hundred metre walk to the beach. I have stayed here a few times and certainly stay again, so I am a bit biased in recommending it. 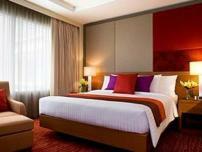 I have never stayed a the AANA hotel, so I can't pass a comment. 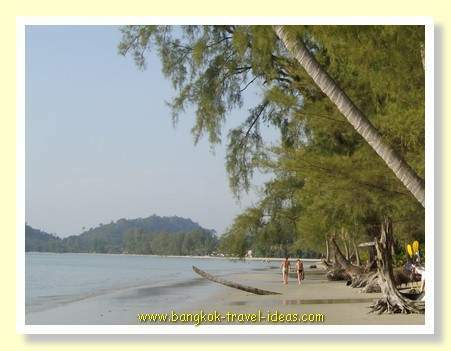 The Whitesand Beach area of Koh Chang is the main tourist attraction and has the most shops. I would describe the place as being bigger than a village, but smaller than a town. Whitesand Beach is the first beach as you come down the hill after getting off the ferry and many tourists never get beyond this part of the island. This is the busiest beach on the island and I think you can see from the photo just how busy it gets. At peak times you might get twice as many people, but even so you shouldn't have any problem laying your towel out. It is possible to get some really nice sunset photos on Koh Chang, but just be careful as all the mosquitoes and flying bugs come out at sunset and you may need your bug spray if you are waiting around to take that sensational shot as the sun goes down. 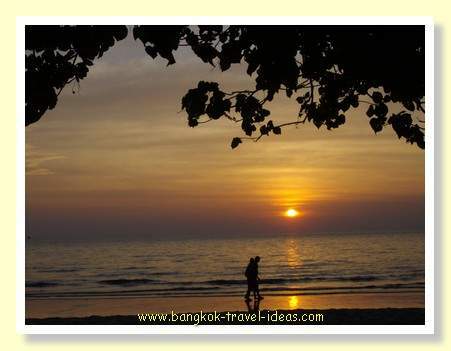 Sunsets like this are common on the island of Koh Chang. These photographs are all taken at Whitesand Beach the most popular beach on the island and in my opinion one of the best beaches in Thailand. 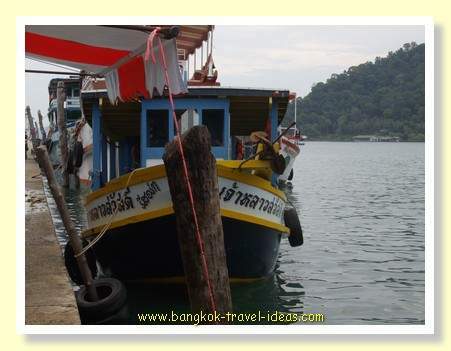 At the far end of the island of Koh Chang is the small fishing village of Bangbao. 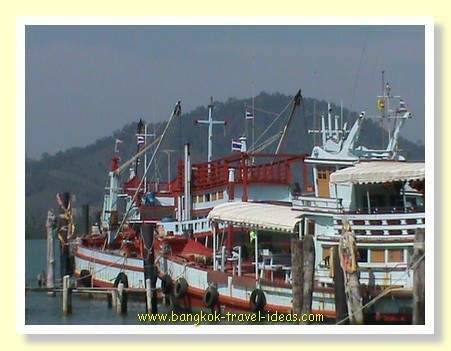 The place is now starting to fill with tourist shops and small restaurants for visitors, but you can still see the Thai fishing boats bringing in their catch and unloading on the pier. There are lots of photographic opportunities to get amazing shots down at the Bangbao pier. 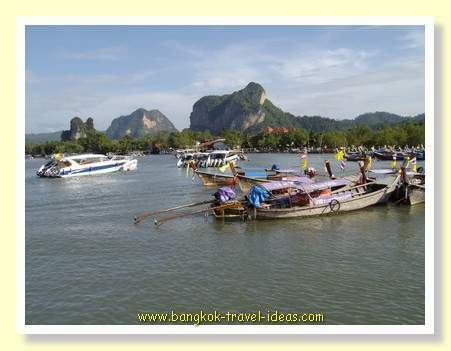 The other main port area is at the other side of the island at Salakphet Bay. Most tourists do not make it this far, but if you have a car then it is a nice ride out for lunch. 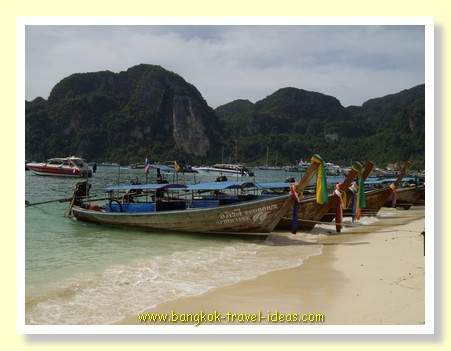 There are some great beaches in Thailand and Ao Nang has its share of them. 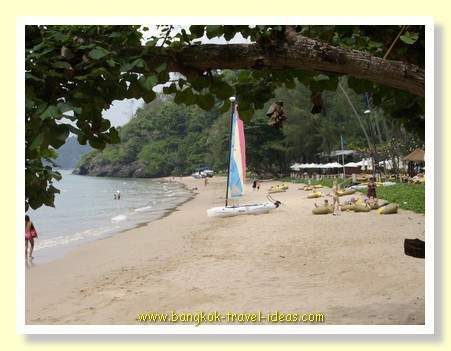 This beach is located outside the Centara Grand hotel in Ao Nang. 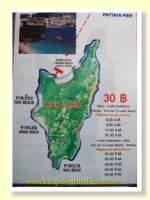 It is a private beach belonging to the hotel so it never gets busy. 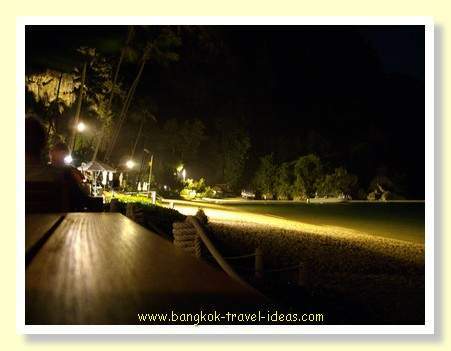 At nighttime the beach is illuminated by the hotel lights and you can look across it as you dine in the hotel grounds. The main Ao Nang beach is the place that the tours to the islands run from, so it doesn't make a great place to sit and sunbathe as there are hordes of tourists walking down to the boats and the boats themselves are very noisy. If you want to sit on this beach then the place to go is the far end, in front of all the hotels and just towards the Monkey Trail that leads to the Centara Grand hotel. The scene below is from the Nopparattara Pier area and taken aboard the Ao Nang Princess ferry, just as we were about to depart to Phi Phi island. 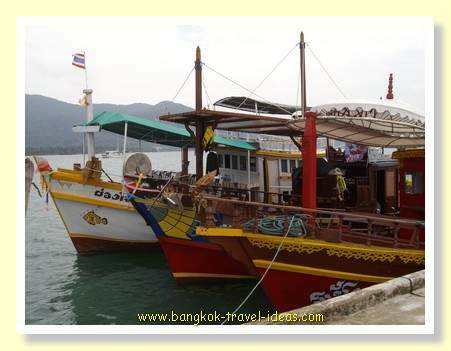 On Phi Phi island you can see many of the boats that came from the Ao Nang beach area. 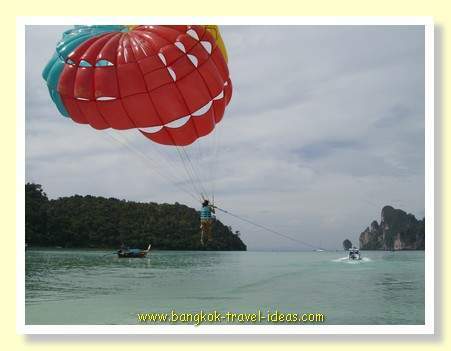 Paragliding is one of the activities that you can partake of when you visit Phi Phi island. This photo was taken off the main beach on the opposite side of the island to where the ferry docks.